Many “real estate experts” have weighed in on Toronto’s rising real estate market recently. Many are calling our market a bubble, some are calling for an investor tax similar to the one recently imposed in Vancouver. I have eaten, drank, and slept the Toronto real estate marketplace for 30 years. 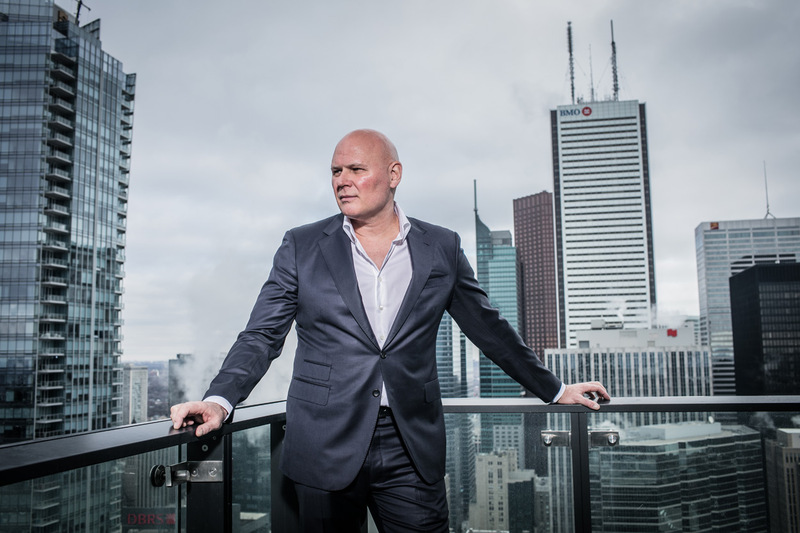 I have been a large scale buyer and investor, one of the top real estate agents and brokers in the city, and developed thousands of condos in Toronto. I have sold approximately 28,000 properties for close to $8 billion since 1988 as a broker and I was one of a handful of people in the real estate industry in 1996 that kick-started a moribund new development industry. I was there at ground zero. Since 1995, I have been the exclusive new development broker for over 120 new developments in Toronto. I have advised dozens of large scale developers on how to revive many downtown districts. I also advised them on the style, design, pricing, and marketing of the projects as well as sold all of their product. Lamb Development Corp. has delivered 14 large scale buildings to the city since 2003. In addition, we have a further 15 buildings in various stages of development. I have spoken to and listened to tens of thousands of buyers, sellers, and investors accumulating a vast storehouse of data and information over the last 30 years. I have some 90,000 hours dedicated to my profession and have participated in virtually every level of the real estate economy. My opinions are entirely based on “real world” experience and knowledge. An investor tax would be an egregious error in policy. It was an error in Vancouver and will only result in higher prices in that city. We will see rising prices in Vancouver within 3-12 months as consumers regain confidence in a city with no supply. Nothing will stop Vancouver’s rising prices except more supply. At some point prices will fall due to a national recession, but they will recover quickly. In Toronto, the same result will occur with an investor tax. It could also precipitate a Canada-wide recession. Foreign investors are involved in two areas in the GTA. They represent a significant percentage of buyers in the 416/905 single family homes market over $4 million. They represent a significant percentage of buyers in the purchase of new development condos sold from floor plans in the 416/905. Ask any real estate agent that lines up for open houses and routinely deals with multiple offers in the $400,000-$2 million range of the market and you will quickly find out that the buyers are almost entirely local end users. Does anyone care that very rich people might pay more for homes? I doubt it. Without foreign investors to buy new condos from floor plans, many new buildings will not be able to move forward. These buyers are a massive resource that helps ensure the huge number of high-rise projects get financed and built. Take them away and the projects will not happen, or at least happen less. All of the new 5-star hotels would never have got off the ground without foreign investors. Why is that important? Condominium development has fed the growth of commercial, institutional, and retail development in the city. Take it away and much less will happen. Google, Shopify, Deloitte, SNC Lavalin, Amazon, and dozens of other large employers all moved downtown because of the condo boom. All of the people that crowd the streets are a result of condos. Sewer repair and expansion, parks growth, transit – all of it is dependent on Toronto’s condo market filling city coffers. Every new condo project contributes to a park levy that is used for creating new parks. The $1 billion rail deck park will be funded almost entirely by the condo industry. These contributions can be as large as $20 million per development. The real estate industry represents 14% of the economy for Ontario. Kill the new condo market, kill the Ontario economy. Kill the Ontario economy and Canada falls too. Foreign investors will not buy in Toronto with a 15% tax imposed. Losing these valuable new buildings will result in tens of thousands of affordable condo rentals and future sales inventory from ever reaching the market place. Very often, early investors are early sellers once the building is complete. Taking away the valuable resale inventory will drive prices higher and guarantee higher rental rates for apartments. There is not enough interest from local buyers and investors to ensure a large project’s financial success. Foreign investors buy real estate with different investment expectations as they do in New York City and London. Creating a 15% foreign buyers tax will seriously harm the new development industry. Do this and you guarantee a further shortage of affordable resale and rentals. You will also likely injure the Ontario economy. Less development equates to a slower economy. Cadillac Fairview just announced a new office tower by the Air Canada Centre. They will be building it on spec. Their confidence comes from a lack of concern for finding tenants. This is because many commercial tenants want to be downtown because they have a huge pool of talent at their doorstep; thank you to the condo market. Nobu just announced a new 5-star hotel and restaurant. Nobu typically opens in hip, cool cities. Why are we now worthy? Thank the condo market. Nobu will only get completed if the 700 condos that are part of the development get sold quickly. No foreign investors? No way. We currently have prices rising too quickly. They will naturally outrun themselves in a year or so. Affordability and local investor malaise will kick in shortly and naturally. Governments should not interfere with markets, let them run their course. A bursting bubble is not going to happen in this environment. Prices will run out of steam, and soon. Some people are saying this is a demand sided problem, this is nonsense. Of course demand is high, this is Toronto, and Toronto is now on the world stage. Little new inventory will ever be added to the supply of 416 freehold product. That is a supply issue only. No supply plus increasing demand due to immigration and demographic change will guarantee 416 homes will continue to climb. The 416 condo market is woefully undersupplied, as is the 905 freehold market. This is where problems lie. People want houses. We need to offer more freehold lots in Alliston, Shelburne, Hamilton, Guelph, Pickering etc. The Toronto Planning Department has created artificial delays to rezoning applications. They have created new restrictive policies that have eliminated or delaying potential new high-rise and mid-rise housing. The Wynne government is marginalizing the Ontario Municipal Board and allowing the number of chairs or judges to dwindle. It now takes years to get an OMB resolution. Wynne is talking further about marginalization of the OMB which will just accentuate our supply problems and allow prices to surge higher. Now the Wynne government is talking about increasing rent control in properties built after 1991. We can forget about new purpose-built apartments buildings getting built in that environment. We have a pricing crisis and all we have from our two governments is policy that will make it worse. There are 781 condos for sale in the central part of Toronto. Last year there were 1912, a drop of 60%. This is a SUPPLY CRISIS. Only the city and the province can fix it and they need to create expansive land policy now. This will offer alternatives that will help our supply issue resolve themselves over the next 5 years. The reality is that homes in Toronto and vicinity will be expensive. More people will ultimately decide to rent longer than probably planned.